Dr Balarao Oruganti highly professional Consultant Adult Psychiatrist currently working for the South Cardiff Crisis Resolution and Home Treatment Team, providing clinical leadership to a multi-disciplinary team (MDT). He has a Medical Degree, Diploma in Psychological Medicine, Diploma in Management, Diploma in Cognitive Behavioural Therapy and Diploma in Change Management. Dr Oruganti is also a Member of the Royal College of Psychiatrists and is Section 12(2) Approved. 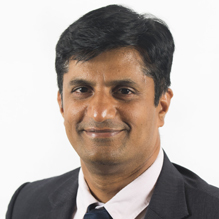 Dr Oruganti has over 10 years’ experience as a Consultant Psychiatrist, working in both the NHS and private sector. Dr Oruganti offers an excellent variety of clinical ability, which includes Anxiety, Depression, Medication Reviews, Bipolar Disorder, Adult ADHD and Low Self-Esteem. His therapeutic methods include Cognitive Behavioural Therapy (CBT), and Dr Oruganti believes in joint working with patients and their families, and consistent monitoring of progress. Dr Oruganti is a Medico Legal expert, with several years’ experience writing reports for court. His covers Abuse, Capacity, Culturally Sensitive Assessments, Neglect, Post-Traumatic Stress Disorder (PTSD), Treatment Recommendations, Depression, Obsessive Compulsive Disorder (OCD), Parenting Assessments, Trauma and more. Described by colleagues as a Clinician who always sets and observes high standards of professionalism, with a reliable and caring nature. Clinical Partners are pleased to present Dr Oruganti as part of our Birmingham Bristol and Cardiff Teams. You don't need a GP referral to see Dr Balarao Oruganti.